Ask anyone who ever rode or drove a BMW M550d xDrive what it may need to be even better and see how many people mention power or torque. My guess is that not even 5 percent will do that as the monstrously powerful 3-liter quad-turbo diesel engine under the hood has no issues in that department. 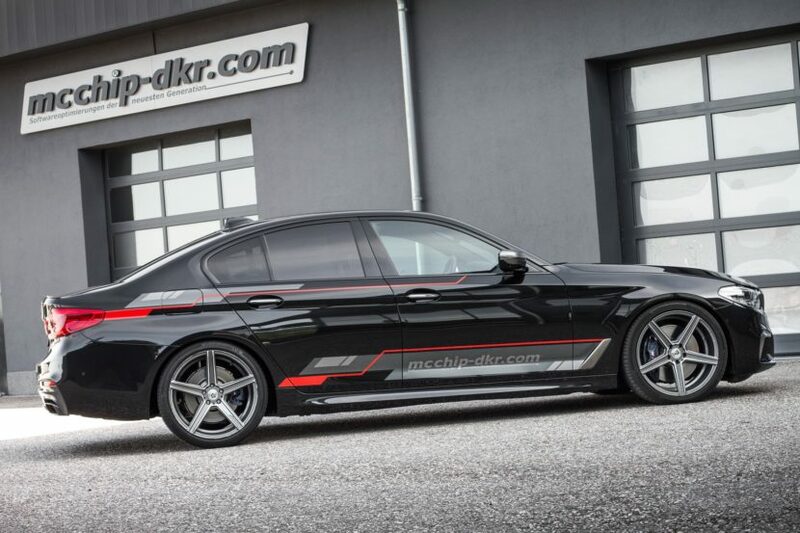 However, for those remaining 5 percent who feel like there’s always room for more, there’s now a tuning kit out there available for this car, capable of taking it over 500 HP without breaking the bank. The guys from Mcchip-dkr are making a name for themselves, that’s for sure. Lately they have been launching some kits for a number of brands, showing incredible power gains for even harder to believe prices. The latest model they took a closer gander at is BMW’s M550d xDrive. 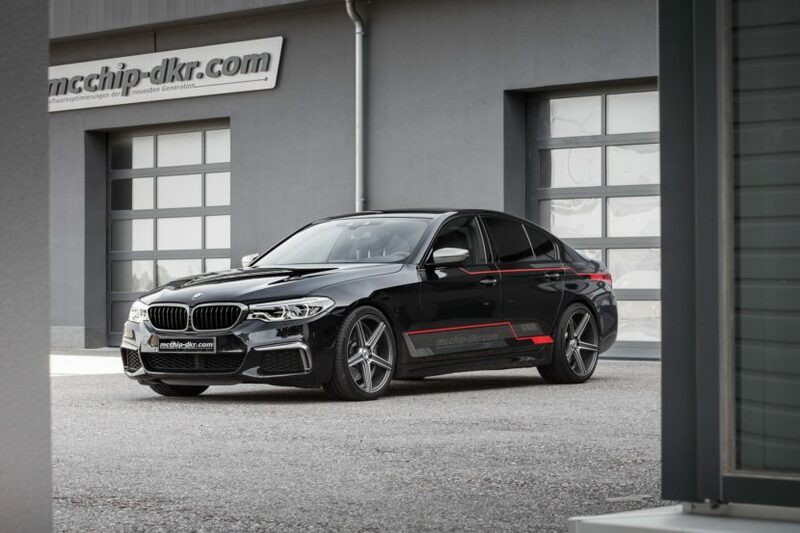 The uber-sedan comes, in standard guise, with a 3-liter quad-turbo diesel engine capable of delivering 400 HP and 760 Nm (560 lb-ft) of torque, making it the most powerful engine of its kind in the world. With their upgrade though, the B57S engine can deliver more torque than ever, in Stage 1 being capable of developing 470 HP and 850 Nm (627 lb-ft) of torque to the four corners of the car. This upgrade will set you back €1,399 which is rather cheap compared to other kits out there. It will also get you up to 290 km/h (180 mph) in a straight line, as the speed limiter will be disabled. However, as impressive as that may sound, we know there are people out there looking for even more. That’s where the Stage 2 upgrade comes in. For €1,678 the guys will take the car up to 515 HP and 865 Nm (638 lb-ft) of torque and, consequently, a top speed of 295 km/h (183 mph). These are mind boggling numbers for a 3-liter diesel but they do raise a question though. How did they manage to squeeze that much torque out of it, since BMW claims it could’ve squeezed more power out of the engine as well but the gearbox acted as a limiting factor?